Today I wanna show Fox Origami. Fox belong to an omnivorous animals, though I was not able yet seen fox literally but in movies I figure out what is its behavior. 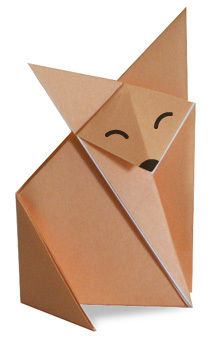 It appearance usually has a long snout and bushy tail according to my research fox can live for more than ten years. but in nowadays they can only live for one to two years this due to hunting. In the Philippines there are "teleserye" Tv Series which based from the idea of fox. 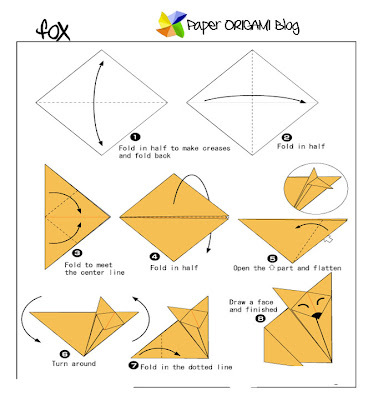 So to have fun for you as animals origami fanatics I have added the idea of folding Fox origami. it is simple and easy to follow.